The Ondo State Government said it had approved N1.5 billion for the take off of a cancer treatment centre in the state. 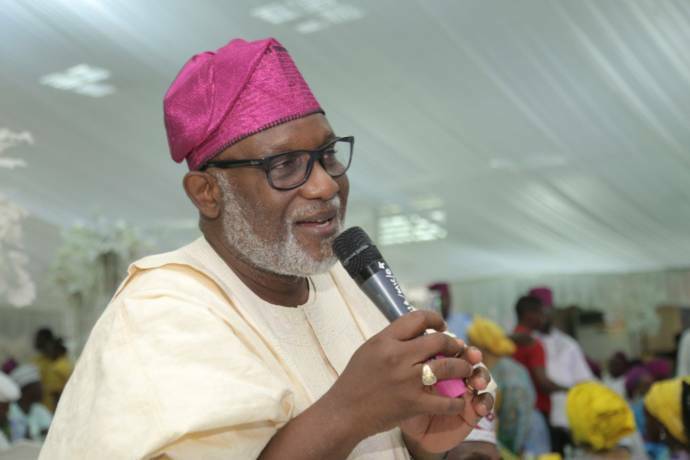 Governor Oluwarotimi Akeredolu stated this on Wednesday at the 5th Annual General Meeting and Scientific Conference of Medical and Dental Consultants Association of Nigeria (MDCAN), Ondo State Hospital Chapter (ODSGH). Newsmen report that the theme of the conference is: “Mental Health Disorders in a Depressed Economy”. 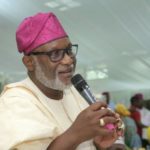 Akeredolu said that the medical centre would reduce the incidence of travelling abroad for cancer related treatment from the state. The governor, who was represented by the state Commissioner for Health, Dr Wahab Adegbenro, noted that one way to tackle mental depression was by providing good healthcare services to citizens at affordable fees. He said that the state government recently employed additional 15 medical consultants, adding that it would continue to provide quality healthcare to its citizens. According to him, the state government’s effort is also geared towards prompt payment of workers’ salaries to alleviate the suffering of people. The governor added that a lot of empowerment programmes were ongoing to get people engaged in meaningful economic activities. He, therefore, urged the medical personnel to do their jobs as expected for the sake of humanity, stressing that the government would continue to provide conducive working environment for them. Earlier, the Acting Chairman of MDCAN ODSGH, Dr Ishaq Ojodu, said the objective of the conference was to sensitise the public to the rising trend of mental disorders due to Nigeria’s poor economy. “We want people to know that the situation is worst but they can develop coping mechanism to deal with depression. ”They don’t need to go to the extreme and use drugs that can damage their mental capabilities permanently but instead they should engage in social activities. “We want families to be involved in creating supporting system which has broken down in Nigeria and we also want to sensitise the government of its roles to provide health insurance that will afford quality health services,” he said. The guest speaker, Dr Kolawole Mosaku, Head of Department of Mental Health, Obafemi Awolowo University (OAU), Ile Ife, appealed to government to tackle mental depression through reduction of health inequalities. Mosaku, who was represented by Dr Olukayode Aloba, of the Department of Mental Health, OAU, said that social security and protections should be guaranteed to all citizens. According to him, youth employment must be a cardinal target of government as well as control of alcohol. He added that psychiatric care services must be available for easy access and welfare facilities provided for citizens.